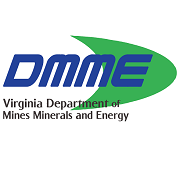 Jesse Coleman filed this request with the Department of Mines, Minerals, and Energy of Virginia. All communications between staff of the Department of Mines Minerals and Energy, and Vincent (Vinnie) Devito, Counselor to the Secretary of the Department of the Interior. Please search you records for the time period May 1, 2017, to September 1, 2017. We have no records pertaining to your request.